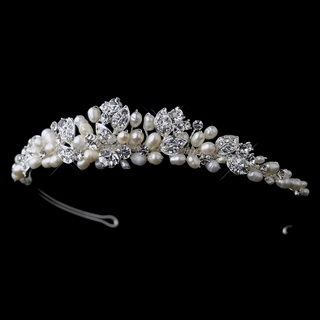 This exquisite tiara features a floral leaf pattern that is covered in brilliant clear crystals and scattered with elegant freshwater pearls. Size: The tiara measures 13" from end to end. The design extends 8" along the band and measures 1" tall at the center. 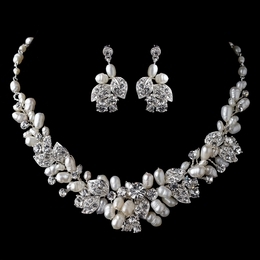 To complement this stunning tiara, we also offer a matching "Empress" necklace and earrings set (shown below and sold separately).